Wisdom is not the same thing as knowledge. People with knowledge may have acquired a load of facts and information. They may be unbeatable masters of Trivial Pursuit or history nerds who know the dates and names of every battle in the Civil War’s Peninsula Campaign. But that doesn’t mean that they know what that information means, or more important, what to do with it. Having wisdom means that you can interpret the facts to know their significance, to be able to extract what is really important from the pile and leave the rest, and to know what to do next. In matters of faith, just knowing religious facts is not enough. St. Paul wrote: “I keep asking that the God of our Lord Jesus Christ, the glorious Father, may give you the Spirit of wisdom and revelation, so that you may know him better” (Ephesians 1:17). Knowledge means that you can recite the names of the people in a Christmas manger scene; wisdom means that you can believe and confess that the baby in the manger is your Savior Jesus Christ, God come in human flesh to rescue the earth’s people. True spiritual wisdom is a Spirit gift. It comes from exposure to God’s Word, whether read or heard. It comes from prayer, from hard experience, and from paying attention to what God is up to. Godly wisdom helps us know what to hang onto and what to let go of. Godly wisdom helps us distinguish the treasures from the trash in our lives. 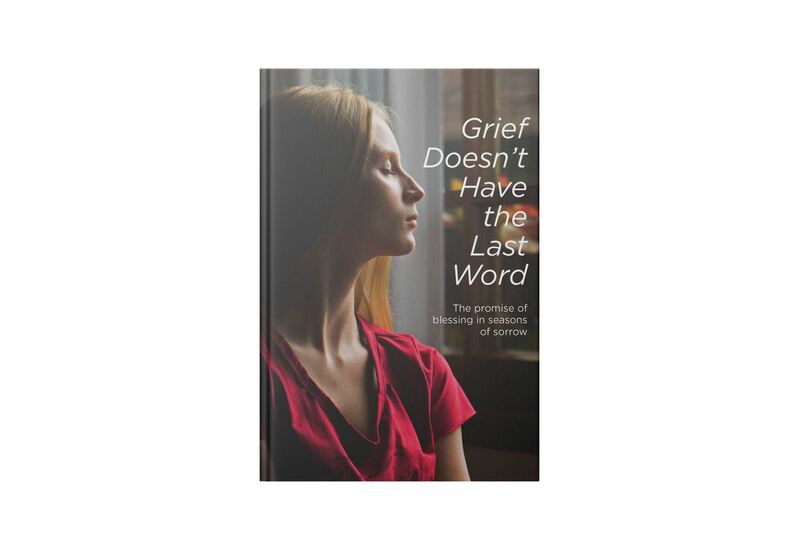 Grief Doesn’t Have the Last Word: The Promise of Blessing in Seasons of Sorrow will restore hope and awaken faith through the revelation and truth of God’s Word. And as it does, you’ll recognize that God—not grief—has the final word. Sign up to get your free download of this book today!